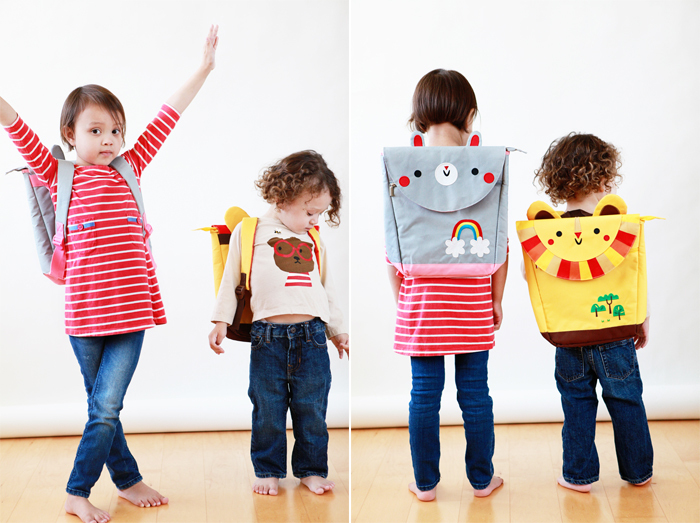 The Land of Nod recently introduced these adorable backpacks by artist Michelle Romo, just in time for the start of the school year! 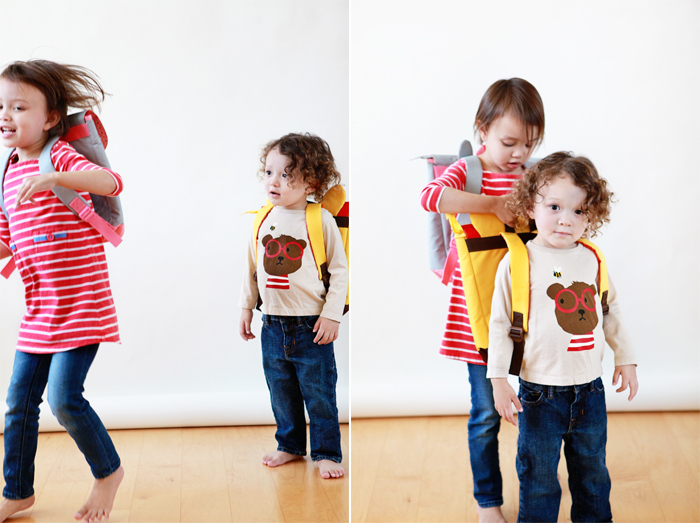 Avery and Nate have been loving playing “school” with their bunny and lion backpack. Avery’s starting kindergarten this year, so she might actually need something a little bigger than this for school to carry her supplies and homework back and forth, but she can always use this bunny backpack to keep her things organized at home. I’m always curious to see the contents of Avery and Nate’s backpacks on any given day. 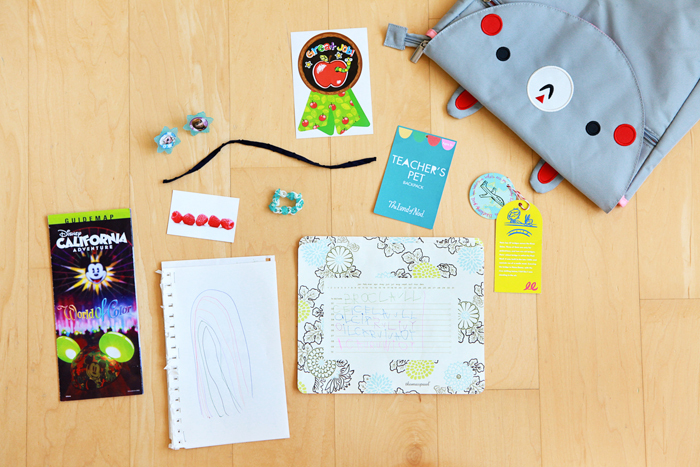 It’s both funny and endearing to see what items they decide to tote around in their packs. It’s like seeing a snapshot of them and their world in this moment in time—kind of like “a day in their lives”. Among Avery’s collection are a Frozen Rainbow Loom bracelet, one of my business cards, a “book with crazy pictures and cute pictures” that she made and a piece of scratch paper she used to practice her letters. 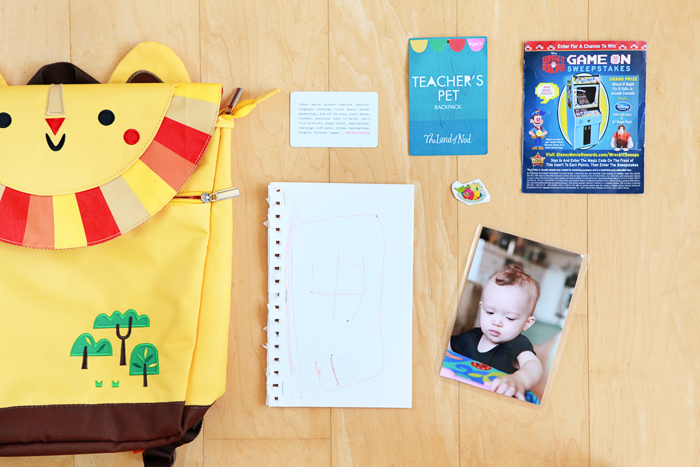 Nate’s items include a used Anthropologie gift card and a book that Avery made for him.